Parsley contains beta-carotene, vitamin C, and a number of phytochemicals with antioxidant properties. It also tastes great in carrot juice! Parsley’s primary action is diuretic and has been shown to be effective in dealing with mercury poisoning by encouraging the active elimination of urine. 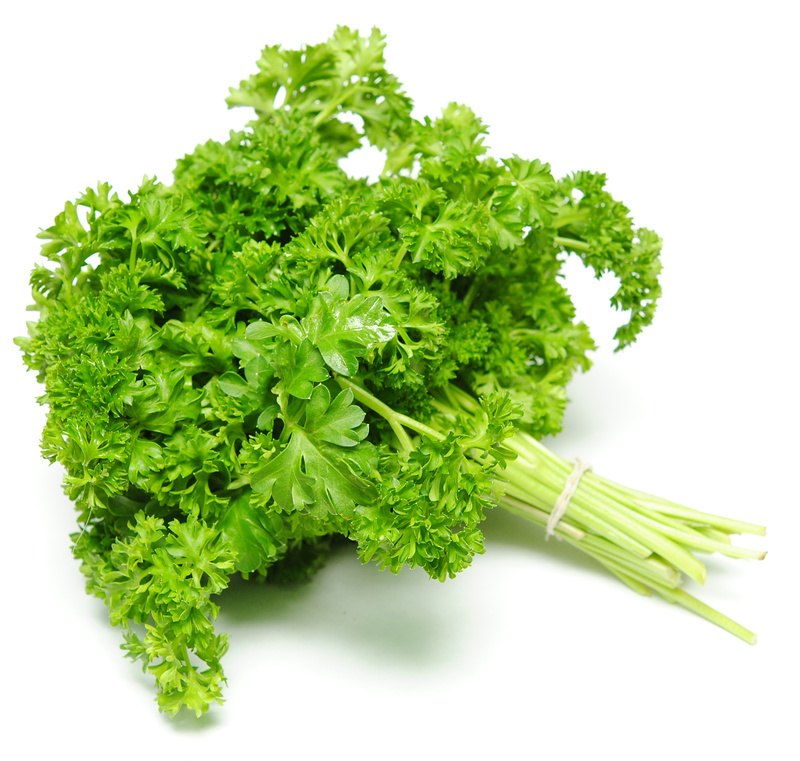 Parsley is an excellent source of chlorophyll, Vitamin B, and potassium. Parsley also plays an important role in enzyme production in the body, particularly in bile, hydrochloric acid, and liver fluids. Parsley has a strong alkalizing effect on the body. One of the most commonly diagnosed cancers worldwide is lung cancer. More people die from lung cancer than from pancreatic, breast and colon cancers combined. This herb has shown to kill 86% of Lung Cancer Cells. It also tastes great in carrot juice and this drink: Moringa Morning Madness! This entry was posted on March 16, 2015 by thrivecoach12 in Herbs & Spices, Nutrient Values and tagged Anti-oxidant, beta-carotene, Vitamin C.